MCR Safety's STSCL2MSL class 2 t-shirts are ideal for those who need a light weight and comfortable high visibility option. Made of breathable polyester Birdseye mesh fabric, this shirt is perfect for all day wear. Its wicking properties help draw away moisture creating an evaporation effect to help keep workers dry and comfortable. 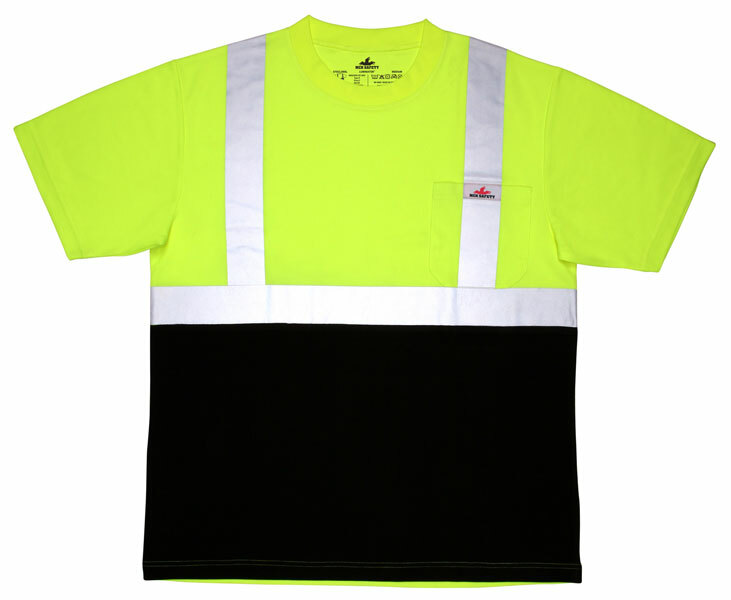 Other features include 2" silver reflective stripes, fluorescent lime background material, shaded torso front to hide soiling, left chest pocket, and is available in sizes M-X4.